range: 60 to 100 miles per charge based on the drain on the driving battery. 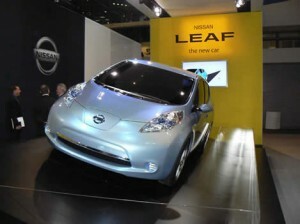 The Nissan LEAF is delivered with a 120V Trickle charge cable that works with the onboard charging system. As the name implies this will be primarily used for opportunity charging and is not recommended to be your primary method of charging. For that a level II we charging dock which uses a 220/240V dedicated line in your home is the way to go. The LEAF is selling well and has been trouble free so far. 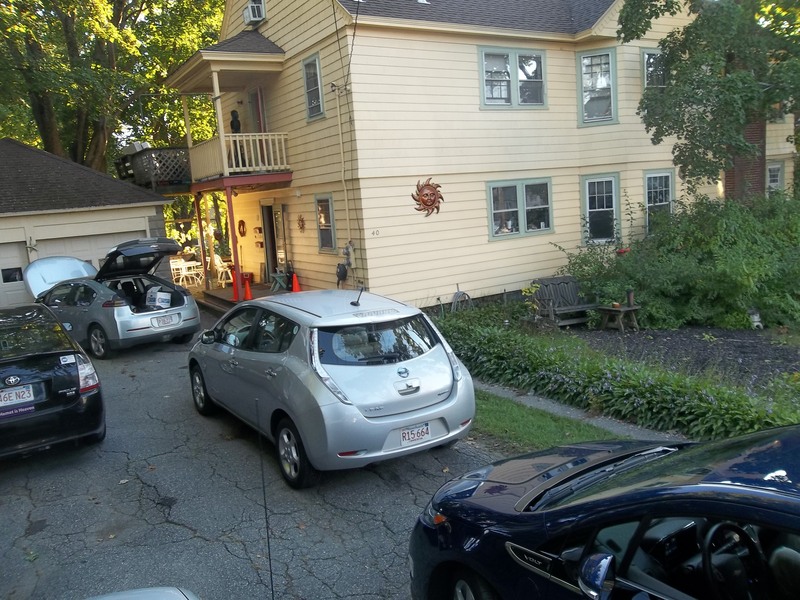 ACDC is working with a fleet of 75 LEAFS used as rental cars and although we still have questions about the battery packs lack of a cooling and heating system but it is hard to argue with “it works”. More later as we watch this EV closely. 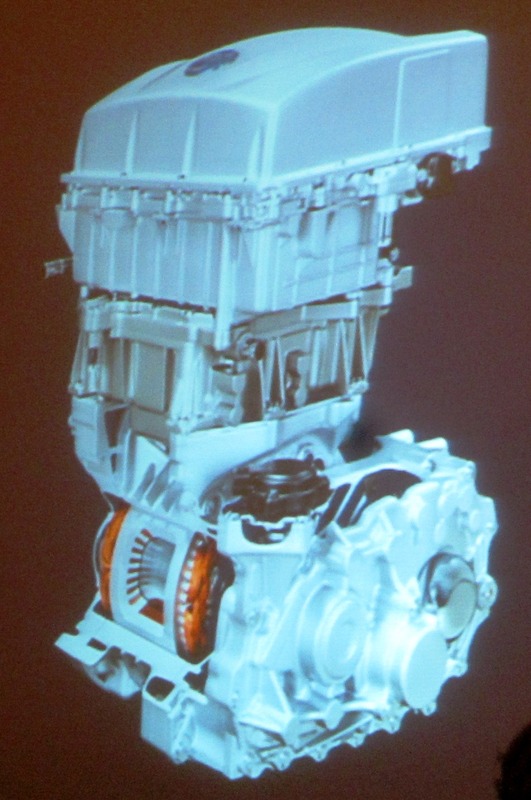 The Picture to the right is the 2013 system. More compact. NASHVILLE, Tenn., Jan. 19, 2014 –/PRNewswire/ — Amy Eichenberger of Charlottesville, Va., became the 99,999th global Nissan LEAF customer when she purchased her 100 percent electric vehicle (EV) at Colonial Nissan. Amy, a 47-year-old mother of two, wasn’t even in the market for a new car. Then she spotted aUniversity of Virginia colleague’s Nissan LEAF and decided she wanted to know more about the “modern-looking, futuristic and progressive” car. “As an architect, the style first got my attention, and I loved the concept of zero emissions,” Amy said. Amy is a project manager overseeing major capital investments for the University of Virginiain Charlottesville. Nissan LEAF was the first car Amy test drove, and she loved the zip it had. A Mercedes driver for 10 years, Amy describes herself as “picky.” Quality, safety, a “glide ride” and reliability were at the top of Amy’s auto shopping list criteria. She said she had a few initial reservations—primarily around range—so she tested out some gasoline and diesel competitors as well. “I’d been told once I drove a Mercedes I’d never drive anything else again. I don’t need fancy, but I do appreciate the solid feel and craftsmanship of a luxury vehicle, and I get that in the LEAF,” Amy said. “The general fuel economy out there is unimpressive and many of them felt tin-canny. I didn’t even want to look at anything in the 20 MPG range. I considered the VW Jetta TDI, Toyota Prius,Honda CRV and a couple of Subaru wagons, and I always came back to the Nissan LEAF. Everything else seemed stuck in the past,” Amy explained. Amy ultimately chose a LEAF S in Glacier White. Her commute is about 10 miles to the university each day and most of her errand-running is around the city—well under the LEAF’s estimated range of 84 miles on a full charge. Chris Crowley, the dedicated EV salesperson for Colonial Nissan, sold Amy her LEAF. He explained that LEAF buyers are not typical walk-ins. “LEAF buyers generally come in well educated about the vehicle, looking for even more information and wanting to see how it feels and drives. We spend a lot of time talking about driving habits to make sure it meets their needs and reviewing how very much it’s like any other vehicle in its capabilities with the added benefit of no fuel bill. Folks like to be green, but you can talk to their pocket books as well,” Chris said. About Nissan North America In North America, Nissan’s operations include automotive styling, engineering, consumer and corporate financing, sales and marketing, distribution and manufacturing. Nissan is dedicated to improving the environment under the Nissan Green Program and has been recognized as an ENERGY STAR® Partner of the Year in 2010, 2011, 2012 and 2013 by the U.S Environmental Protection Agency. More information on Nissan in North America and the complete line of Nissan and Infiniti vehicles can be found online athttp://www.nissanusa.com/ and http://www.infinitiusa.com/, or visit the Americas media sitesNissanNews.com and InfinitiNews.com.